In the next 30 to 50 years, rising sea levels caused by global warming will subsume low-lying islands in the Pacific Ocean. Inhabitants will have to relocate, but there are few choices. Among nations (with the exception of Fiji and New Zealand) there is little preparation for the inevitable migration of Pacific Islanders. Which nations should commit to the processes of equitable relocation? The following article will address this question through historical context and colonial occupation; current legal debates surrounding climate change and maritime migration; and the potential rights of “deterritorialized” states, such as retention of exclusive economic zones. Historical context includes an examination of U.S. insular territories in the Pacific and the continued exercise of presidential authority over island possessions. The U.S. Minor Outlying Islands are Baker Island, Howland Island, Jarvis Island, Johnston Atoll, Kingman Reef, Midway Islands, Palmyra Atoll, and Wake Island. (A ninth minor outlying island, Navassa Island, is located in the Caribbean Ocean, near Haiti.) Around these insular territories is an exclusive economic zone (EEZ) of 200 nautical miles. 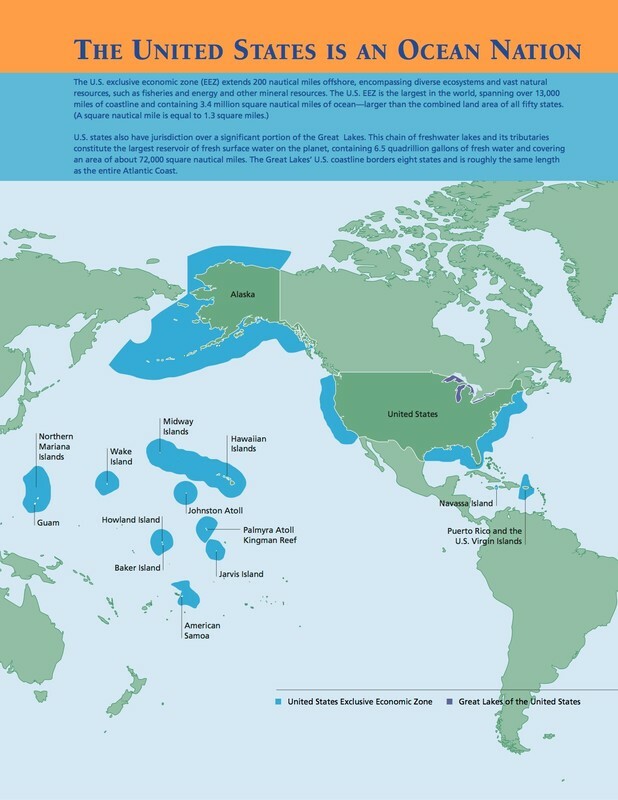 The National Oceanic and Atmospheric Administration defines the EEZ as “the zone where the U.S. and other coastal nations have jurisdiction over natural resources,” such as fisheries, energy, and other mineral resources. When the zones of the eight minor outlying islands are combined with those of American Samoa, Guam, Hawaii and the Northern Mariana Islands, it forms a U.S. EEZ in the Pacific Ocean of 2.2 million square miles.2 The United States, seen in this light, is not a distant observer to the Pacific Islanders’ plight but an invested neighbor with shared history; a history defined in large part by commercial exploitation and continuing military entanglements. The U.S. Minor Outlying Islands in the Pacific are small, low-lying formations of more biological use to birds and sea turtles than humans, but they have considerable strategic value. The islands are often referred to militarily as “picket fence” outposts. Most have airstrips, three have seaports, and two have lagoons that can accommodate seaplanes.3 Seven of the eight territories, however, didn’t begin as military acquisitions; American citizens claimed them under the U.S. Guano Islands Act of 1856.4 In the beginning, what could be found on the surface of “guano islands” had economic value. In the 21st century, economic value is in the control of their territorial waters and exclusive economic zones. 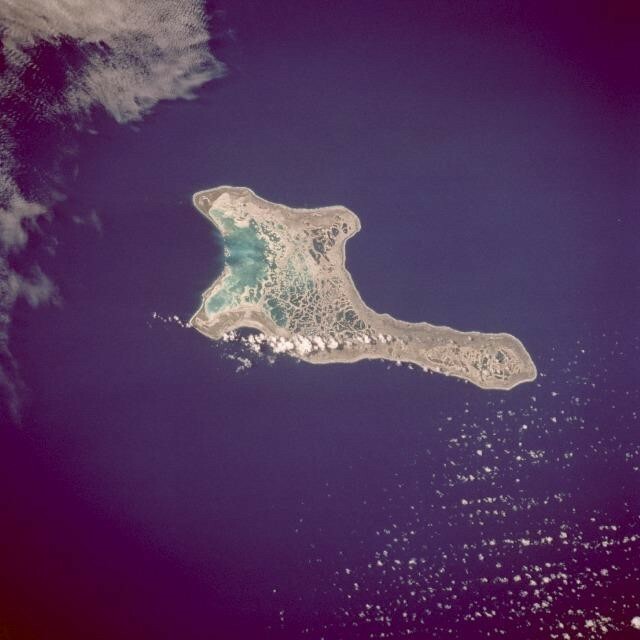 The early annexation of guano islands by commercial interests explains why access to Christmas Island (Kiritimati) for testing nuclear weapons, first by the U.K., then the U.S., was easily facilitated. How economic rivalry in the 19th century turned to military alliance in the 20th century involves a more complex telling. Americans and the British both mined islands claimed under the Guano Islands Act, though not simultaneously.10 If American interests didn’t continuously work or occupy islands they claimed title to, the British seized the territory for the Crown. American claimants would object, mainly from afar, while other objections were registered by a visit to the island from the U.S. Navy (none resulted in military confrontation of any real consequence).11 Ownership disputes over guano islands turned to partnership, however, in the late 1950s when the British government sought to conduct full-scale H-bomb tests in the Pacific Ocean. 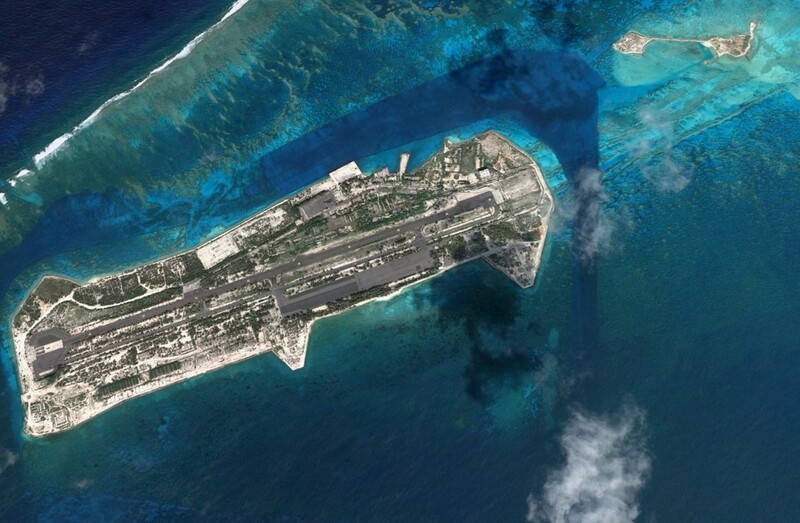 Military operations on Johnston Atoll officially ceased in 2005. The atoll is now a designated wildlife refuge and national monument, with jurisdiction split three ways. The emergent lands of the atoll—that is, the four visible islands—are still under the administrative authority of the Air Force, while waters from 0 to 12 nautical miles (nm) seaward are protected as units of the National Wildlife Refuge System administered by the U.S. Fish and Wildlife Service. From 12 nm to 200 nm seaward, NOAA manages fishery-related activities. At this writing, commercial fishing is not allowed. 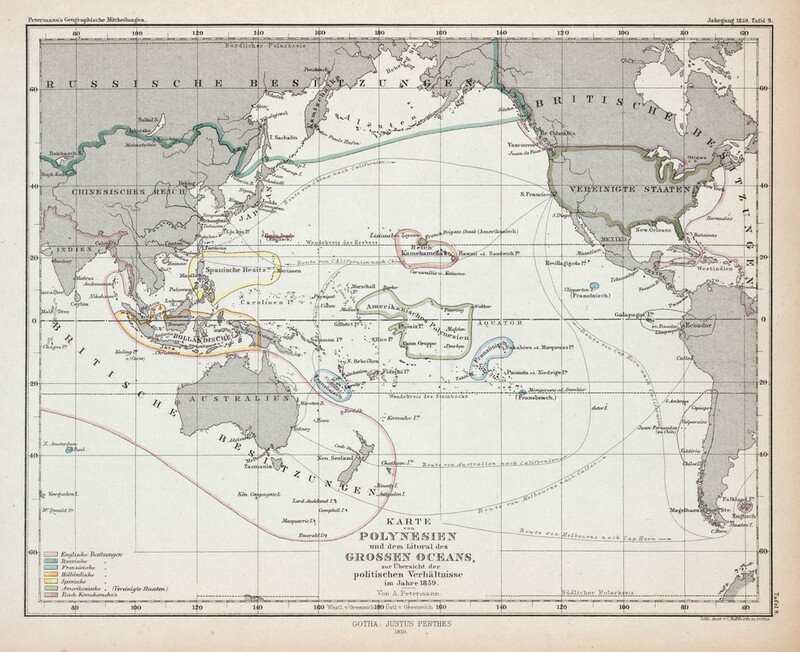 Since the beginning of U.S. territorial expansion in the Pacific, the status of the guano islands has been a reflection of presidential priorities and world events involving commerce and war. The true value of these small islands and atolls is their malleability and adaptive uses, which includes utilization of the exclusive maritime zones that surround them and the airspace above them. The fluid conversion of insular possessions has historically been achieved through the singular authority of presidents. It remains true today. As one example, Johnston Atoll became a designated U.S. Wildlife Refuge once it had been divested of guano and seabirds (Pres. Calvin Coolidge, 1926); placed under control of the Navy (Pres. Franklin D. Roosevelt, 1934); declared a naval defense sea area (Pres. Roosevelt, 1941); designated a national monument with a boundary of 50 nm (Pres. George W. Bush, 2009); monument boundary was increased to 200 nm (Pres. Barack Obama, 2014); and by executive order, was placed under review as a monument created since 1996 under the Antiquities Act (Pres. Donald Trump, 2017). It remains to be seen if Trump’s boundary revisions of monuments created and/or enlarged by other presidents will withstand legal challenge. Of course, the larger legal question in the Pacific is how these island possessions, now national monuments, have remained steadfastly in the hands of the U.S. at all. The process by which the bulk of islands claimed under the Guano Islands Act have been relinquished is instructive. There’s little evidence that the U.S. government has been self-compelled to return them, even when the language of the law makes it clear that the U.S. is in contravention of its own statute. Benson’s claims didn’t meet the legal threshold for possession, but all seven were bonded, certified, and appeared on lists published by the U.S. Treasury Department.27 These claims remained on the books until eventually running aground of international efforts to decolonize the Pacific after World War II. Neither the claimant nor his heirs ever mined those islands, though British workers did.28 Six of the seven were incorporated into British colonies, and one made a part ofAmerican Samoa in 1925. Islands claimed under the Guano Islands Act that have not been surrendered are often identified on maps as “U.S.A. territory.” But that’s not the nomenclature the U.S. government uses. The United States Code defines “Guano Islands” as “possessions,” not territories.30 It’s an ambiguous term for an ambiguous future. 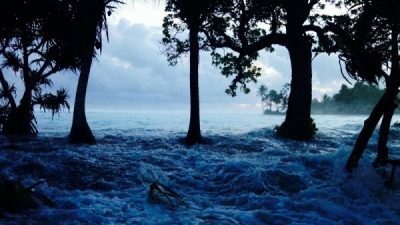 As sea-level rise threatens to overtake low-lying islands and atolls, the international community will be watching to see what measures the U.S. may take in retaining control over its insular possessions and attendant 200 nm exclusive economic zones in the central Pacific Ocean. While the U.S. has flexibility in transforming the EEZ of its island possessions into proving grounds, strategic no-go zones, conservation areas and national monuments, island nations do not. The economies of most island nations are dependent on selling offshore fishing rights within their EEZ. Pacific island nations and territories are at different stages of addressing the pressing issues of sea-level rise. Discussions involving retention of EEZs—and the rights and financial security maritime zones confer—represent the long game, and enters into a conceptual realm of “What is nationhood, if a nation no longer exists?” Legitimate answers to questions of this magnitude would require changes in international law, a notoriously slow process. As scientific data on climate change feedbacks demonstrate, island nations and territories need answers now. The Intergovernmental Panel on Climate Change predicts the oceans will rise by between 11 and 38 inches by the end of the century, with the potential to submerge low-lying islands. 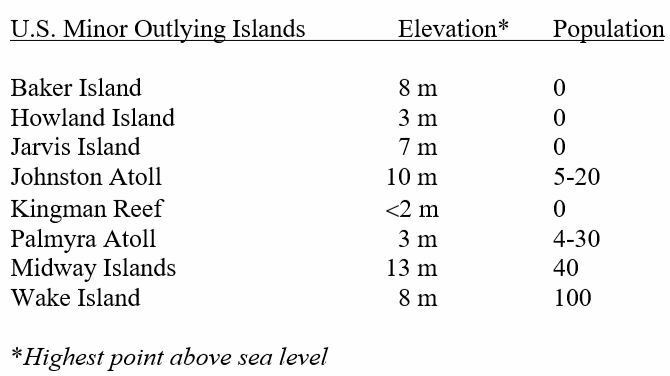 A report from 2016, written by former NASA scientist James Hansen and 16 co-authors, predicts that without serious mitigation of greenhouse gas emissions, global sea level is likely to increase “several meters over a timescale of 50 to 150 years.”34 If less than one meter of sea-level rise has the potential to cause an island to disappear by 2100, then Hansen’s numbers portend something more urgent. The question, then, is not when will islands be submerged, but when will sea-level rise make life on low-lying islands impossible. One concern discussed in the international community is the importance of delimiting islands before they physically disappear. Under the Law of the Sea Convention, or UNCLOS, the exclusive economic zone is measured seaward from the baseline. The baseline is measured along the coast of emergent land at the low-water mark. Consequently, if sea-level rise alters coastlines or overtakes emergent land permanently, what happens to the baseline? 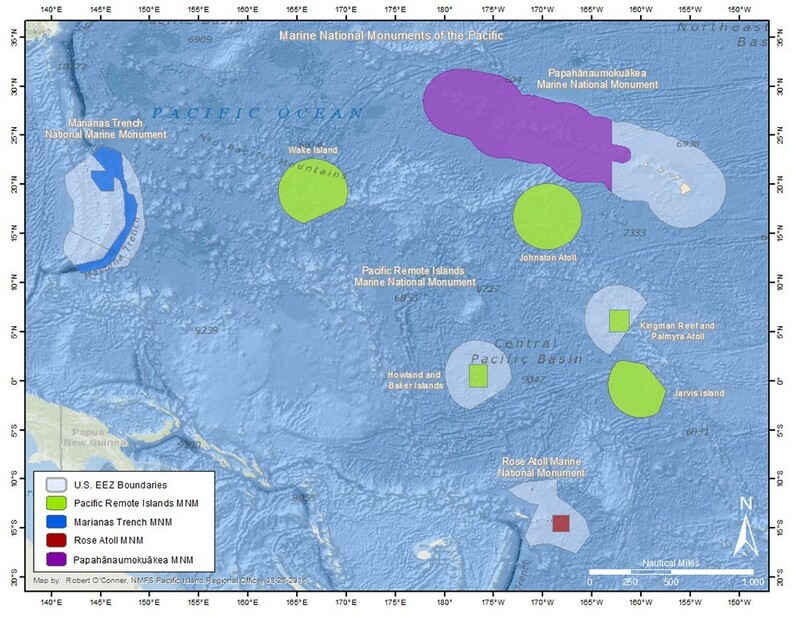 What happens to the corresponding EEZ? And to what extent will island nations retain control over their EEZs if an island is gone and its inhabitants dispersed? Nayasi’s sense of urgency is reflected in policy. Among nations, the Republic of Fiji is in the vanguard of relocation efforts. In 2014, the government’s climate change program assisted the village of Vunidogolo in moving to higher ground and provided the means for economic transition. The new village includes “30 houses, fish ponds and copra drier, farms and other projects.” There are 34 more villages slated for relocation within in its territory.39 Because Fiji is a combination of high and low islands, it’s geographically advantaged (though not immune to climate disruption). For other nations such as Tuvalu, comprised of nine coral atolls with a mean elevation of 2 meters, all choices look the same. Large nations with continental landmass are not immune to what worries small island nations and territories. According to the Union of Concerned Scientists, “As the planet heats up, seas are now rising at an accelerating rate—especially along the U.S. East Coast and Gulf of Mexico.” Investing in million-dollar seawalls—here or there—will not be enough; an even larger investment is needed. An investment that requires industrialized nations to do what is scientifically, technically and financially possible to mitigate the causes of sea-level rise, while also assisting in building a legal framework that provides peace of mind for Pacific Islanders. Currently the onus to adapt is on island nations. It is a suggestion disproportionally unjust. It is unjust not only since the “Pacific islands region as a whole accounts for 0.03% of the global emissions of CO2 despite having approximately 0.12% of the world’s population,”42 but because a significant part of the problem is that global warming is precipitated by the rich and powerful countries and the islands are among the poorest and least equipped places in the world to cope with the challenges of rising waters. The U.S. government, with the exception of the Pentagon, is in official denial concerning a major cause of climate disruption: the unabated burning of fossil fuels.44 The current administration has no interest in reducing CO2 emissions or admitting the country’s hand in environmental catastrophe. What will be of interest to U.S. policymakers when the low-lying islands and atolls in the Pacific Ocean begin to disappear is likely to center on the retention of EEZs and other maritime entitlements associated with U.S. insular possessions. If there is to be any U.S. involvement in “adaptation” in this part of the world, preserving these zones is high on the list; Pacific island nations and territories should be included in those efforts. Subsequent to resource depletion, war, nuclear testing and contamination, engagement with the Pacific Ocean ultimately means taking care of the people who live there. Laray Polk is an American writer and artist. In 2013, she co-authored a book with Noam Chomsky, Nuclear War and Environmental Catastrophe (Seven Stories Press). The title has been translated into Spanish, French, Turkish, and Japanese. She can be reached at [email protected]. 2Calculations based on data from Marine Regions. 4The act is at 48 U.S.C. sec. 1411-19. 5For a discussion of guano’s importance to 19th-century agriculture, see Richard A. Wines, Fertilizer in America: From Waste Recycling to Resource Exploitation (Philadelphia: Temple University Press, 1985). 6The actual number of islands resolves to 36 when duplicate claims and nonexistent islands are factored in. See “Places Claimed and/or Acquired under the U.S. Guano Islands Act,” in Jimmy M. Skaggs, The Great Guano Rush: Entrepreneurs and American Oversees Expansion (New York: St. Martin’s Press, 1995), 230-236. 7Ibid., 159. For a firsthand perspective of a guano laborer, see the letters of J.M. Kailiopio in Gregory Rosenthal, “Life and Labor in a Seabird Colony: Hawaiian Guano Workers, 1857-70,” Environmental History 17 (October 2012): 744-782. 8Gregory T. Cushman, Guano and the Opening of the Pacific World: A Global Ecological History (New York: Cambridge University Press, 2014), 82. 9E. Behm, “Das Amerikanische Polynesien und die politischen Verhältnisse in den übrigen Theilen des Grossen Oceans im J. 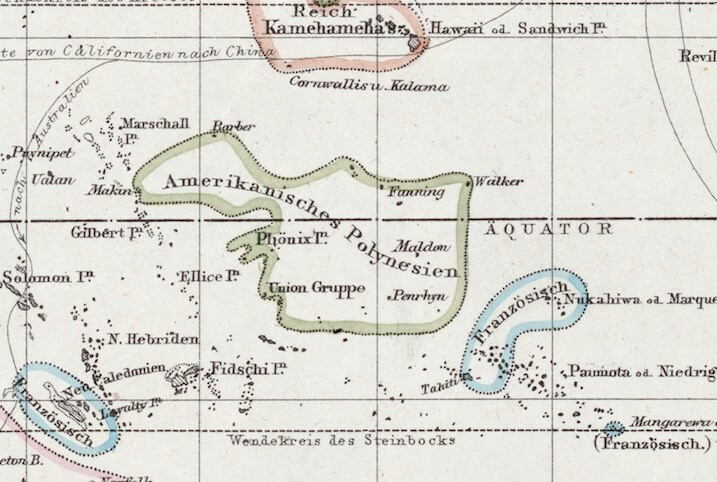 1859,” Petermanns Geographische Mitteilungen 5 (1859): 173-194. 10Two islands claimed by both countries, Canton and Enderbury, were shared from 1939 to 1979 under an agreement called the Anglo & American Consortium. Both islands were relinquished when Kiribati declared independence from the U.K. and the U.S. signed the Treaty of Tarawa. 11See U.S.S. Narragansett visit to Christmas Island in Edwin H. Bryan, American Polynesia and the Hawaiian Chain, rev. and enl. ed. (Honolulu: Tongg Pub. Co., 1942), 139. Cf. to Benson ‘s Lobos Islands incident in Great Guano Rush, 21-32. 12Laray Polk, “Lucky Dragon,” CounterPunch, April 5, 2007. 13Nic Maclellan, Grappling with the Bomb: Britain’s Pacific H-Bomb Tests (Canberra: ANU Press, 2017), 36. 15For a complete history of this alliance see “The President—John F. Kennedy,” Grappling with the Bomb, 267-279. 17For residual problems with a similar treaty, the Treaty of Tokehega, see Gilbert Wong, “Swains Island Paradise Lost?” New Zealand Herald, November 10, 1990. 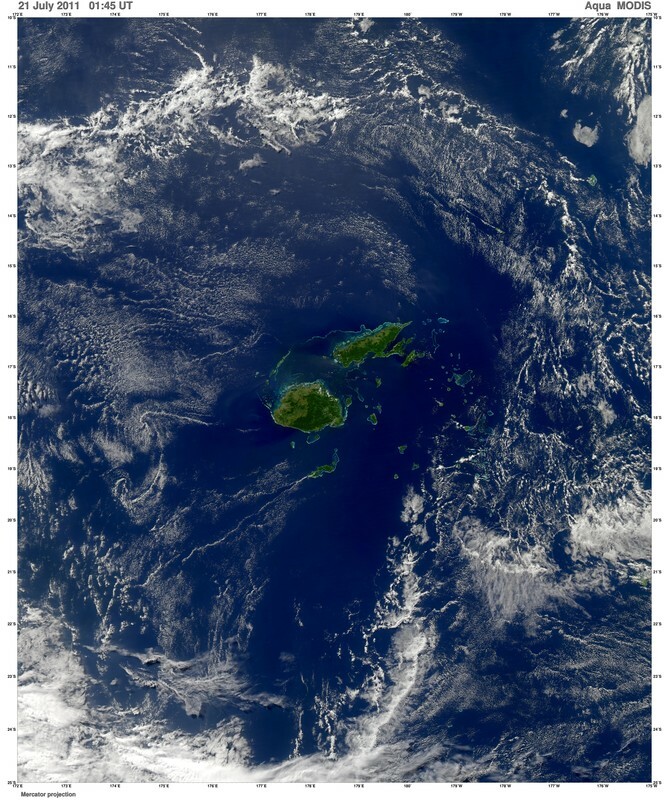 18Calculation based on the 1923 Tanager Expedition survey (41.32 acres), reproduced in American Polynesia, and median measurements from 2017 satellite imagery (662.59 acres). 19Katharine Q. Seelye, “Radioactive Dump on Pacific Wildlife Refuge Raises Liability Concerns,” New York Times, January 27, 2003. 20Jan TenBruggencate, “Army Completes Chemical Weapons Mission at Johnston,” The Honolulu Advertiser, April 11 2001; Jon Mitchell, “25,000 barrels of Agent Orange Kept on Okinawa, U.S. Army Document Says,” The Japan Times, August 7, 2012. 21For further complexity of the issue, see Fili Sagapolutele, “Gov. Lolo’s Letter to DOI Cites Trump’s ‘America First’ Policy as Hope for Our Tuna Industry,” Samoa News, July 17, 2017. 22According to some sources Midway Islands (Middlebrook Islands and Shoal) weren’t claimed under the Guano Islands Act. A summary of an expedition by Capt. Brooks, printed in the Polynesian, August 13, 1859, presents evidence to the contrary: “As an extensive deposit of guano was found on one of the islands, possession was taken of the group and notices left to that effect.” The Navy took formal possession of Midway on August 28, 1867. 23Juliet Eilperin, “Zinke Backs Shrinking More National Monuments and Shifting Management of 10,” Washington Post, December 5, 2017. See also Christopher Pala, “Loss of Federal Protections May Imperil Pacific Reefs, Scientists Warn,” New York Times, October 30, 2017. 24For obstacles to ratification, see Roncevert Almond, “U.S. Accession to the Law of the Sea Convention? A Challengefor America’s Global Leadership,” The Asia-Pacific Journal 15, vol.13, no.2 (July 2017): 1-11. 25C.D. Burnett, “The Edges of Empire and the Limits of Sovereignty: American Guano Islands.” American Quarterly 57, no. 3 (2005): 780. 26In 1862, chemist J.D. Hague recorded six of the seven as inhabited by native populations in his article, “On Phosphatic Islands of the Pacific Ocean,” Am. Journ. Sci., 2nd ser., vol. 34, no.101 (September 1862): 224-243. 27U.S. State Department, Office of the Legal Advisor, “The Sovereignty of Guano Islands in Pacific Ocean,” vol. 3, ed. E.S. Rogers and Frederic A. Fisher (Washington, D.C., 1933): 570-976. Available online from the University of Hawaii at Manoa Library. 28The British didn’t have a legal prohibition on mining inhabited islands, much to the detriment of Nauru and Ocean(Banaba) Islands. See Great Guano Rush, 137. 29The South Pacific Commission, now the Pacific Community, may have been more influential in post-war planning because it brought together Islanders “who accelerated regionalism’s emergence.” See Steven R. Fischer, The History of the Pacific Islands, 2nd rev. ed. (Basingstoke, UK: Palgrave, 2013), 221. 30Other territories defined as U.S. possessions include the Virgin Islands, Guam, and American Samoa. See 10 U.S.C. sec.101 and 37 U.S.C. sec. 101. 31Lealaiauloto Aigaletaulealea Tauafiafi, “Pacific Celebrate U.S. Tuna Treaty Renewal: Why, How Much, and Who are the Winners?” Pacific Guardians, June 12, 2016; “Tokelau’s Tuna Success—Testament to Pacific Solidarity’s Multimillion Dollar Effect,” Pacific Guardians, August 12, 2016. 32Latif Nasser, “When Island Nations Drown, Who Owns Their Seas?” Boston Globe, October 19, 2014. 33Soons, email comm., December 28, 2017. For discussion of what constitutes an island or a rock under UNCLOS, see T.Y. Wang, “Japan is Building Tiny Islands in the Philippine Sea,” Washington Post, May 20, 2016. 34James Hansen, Makiko Sato, Paul Hearty, Reto Ruedy, Maxwell Kelley, Valerie Masson-Delmotte, et al., “Ice Melt, Sea-Level Rise and Superstorms: Evidence from Paleoclimate Data, Climate Modeling, and Modern Observations that 2 °C Global Warming Could be Dangerous,” Atmos. Chem. Phys. 16, (March 2016): 3762. 35For more on the plight of Bikini Islanders, listen to Jack Niedenthal’s interview with Koro Vaka’uta, Radio New Zealand, March 26, 2015; and his interview with Jenny Meyer, Radio New Zealand, August 7, 2015. 36Rayfuse, email comm., May 7, 2017. 37 A.H.A. Soons, “The Effects of a Rising Sea Level on Maritime Limits and Boundaries,” Netherlands Intl. Law Review 37 (1990): 230. 38Law of the Sea Convention, Part VII, Sec. 1, Art. 87. 39Fiji presided over the UN Climate Change Conference (COP23) held in Bonn, Germany in 2017. Serafina Silaitoga, “Villagers to Move into New Homes,” The Fiji Times, January 15, 2014. 40“Climate Change Part of Refuge Ruling,”Radio New Zealand, August 4, 2014. To read more about Alesana and his family, see Anke Richter, “Hell and High Water: When Climate Change Comes Lapping at Your Door,” North & South, June 2017 (posted online here). 41Jonathan Perlman, “NZ Plans Special Visa for Climate Refugees,” The Straits Times, December 11, 2017. 42Climate Change 2001: Impacts, Adaptation And Vulnerability, Contribution of Working Group II to the Third Assessment Report of the Intergovernmental Panel on Climate Change, ed. J. J. McCarthy, O. F. Canziani, N. A. Leary, D. J. Dokken, and K. S. White (UK: Cambridge University Press, 2011), 867. 43Archaeological evidence suggests these islands were of significant cultural use by Polynesian long-distance voyagers. Bryan’s American Polynesia describes ruins and objects associated with individual islands: Howland (paths, pits); Washington (ruins, stone work, canoe); Fanning (ruins, adzes, fishhook); Christmas (ruins); Malden (platforms, grave, house sites); Caroline (graves, adzes, temple platform, marae); Nassua (shell adzes, pearl-shell breast ornaments); Hull (ruins); Phoenix (ruins); and Sydney (ruins). 44Christian Parenti, “Military Soothsayers,” Tropic of Chaos: Climate Change and the New Geography of Violence (New York: Nation Books, 2011), 13-20.